Olga Cavalli is an ICT and Internet specialist with large experience in project management, market research, competitive analysis, public policy and regulations. Between 2007 and 2014 Ms. Cavalli has been a member of the United Nations Secretary General´s Advisory group for the Internet Governance Forum. She is the Argentina Representative in the GAC of ICANN, where she has the role of Vice-chair. She was GNSO Council Member in ICANN and GNSO Vice chair. As an advisor of the Ministry of Foreing Affairs of Argentina, she has represented Argentina in the WSIS Second Phase held in Tunis, she was a Member of the Special Commission appointed by the Government of Argentina for the Cybercrime Law and a leading member of the commission that developed the National Digital Agenda of Argentina. 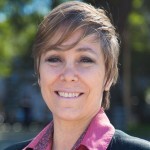 Since 2007 she is Director and main leader of the South School on Internet Governance, pioneering program that grants fellowships to students in Latin America and the Caribbean to recieve an intensive face to face training in Internet Governance and then become the leaders of Internet Governance in the region. Since 2012 Dr. Cavalli is the Academic Director of Dominios Latinoamérica. Ms. Cavalli is a PHD in Business Direction, MBA, Master in Telecom. Regulation and Electronic and Electric Engineer. She is fluent in Spanish, English, Portuguese and German. She lives in Buenos Aires and is the mother of Juana and Federico.